The Editing Path is an in-person editing accountability group, which meets monthly to set editing goals, encourage each other to edit their work, share editing tips, and schedule time to work on our writing. Review last month’s editing achievements and set goals for the coming month. (60 – 90 min) Goals are store in Editing Path Goals 2018 Google sheet. Adjourn to a local Glen Ellyn cafe or pub to working our writing from noon to 4 pm. Click to join the Edit Path mailing list. Join any time. 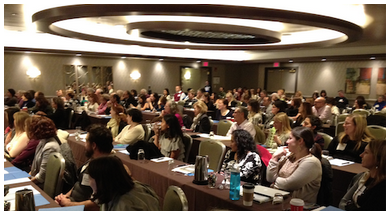 At your first meeting, let us know what you’re working on and set some goals for next month. 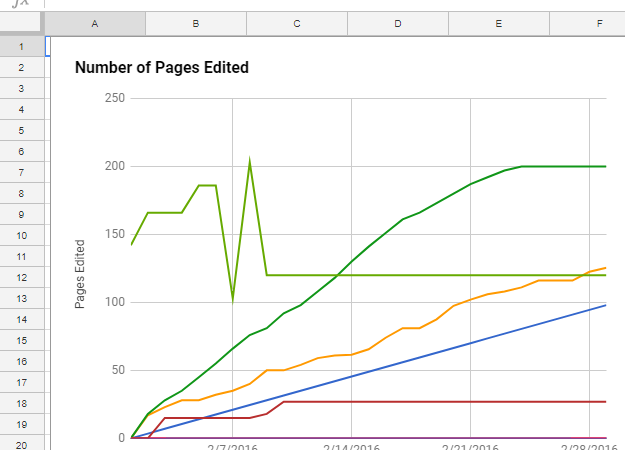 The Editing Path combines aspects of previous year’s Editing Paths, Todd’s Accountability Path, write-ins, and aspects of the Journey General meetings. Writers have their own editing style, are at different stages in the editing process, and are working on different projects (novels, short stories, poems, etc). 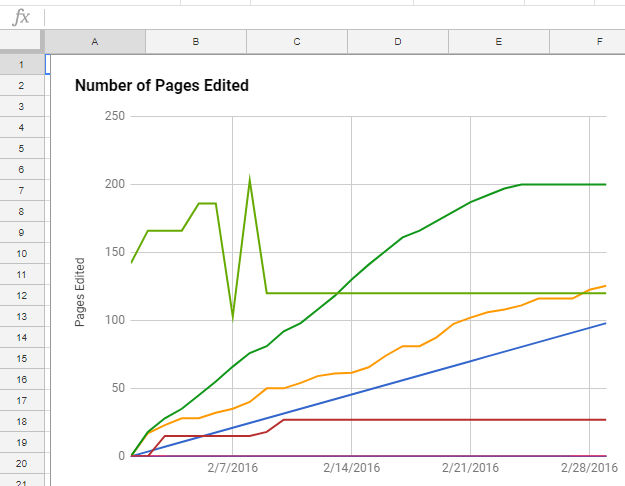 This makes it difficult to follow a single structured approach to editing, so the Journey Editing Path focuses on writers setting their own editing goals. During the monthly meetings, each writer’s previous month’s goals are reviewed and they set new goals for the upcoming month. If it’s your first meeting, don’t worry. Let the team know what you’re working on and set some goals for the next month. The members want to learn from each other, so time is set aside in each meeting for a short member led editing workshop. We all can use help getting through trouble spots, so time is allocated in each meeting for a brainstorming session. Many of us struggle to find time to edit and write, so a writing meetup is scheduled after each monthly meeting, as well as periodic ad hoc meetups. 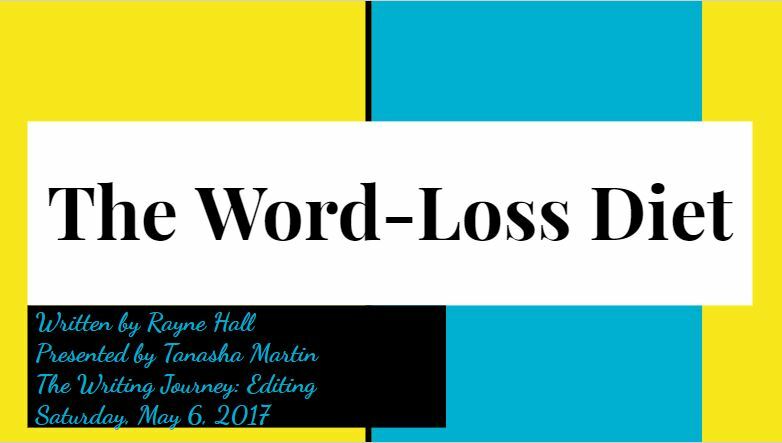 Word-Loss Diet workshop presented by Tanasha Martin, based on material from Rayne Hall. The worksheets for the workshop are available here.